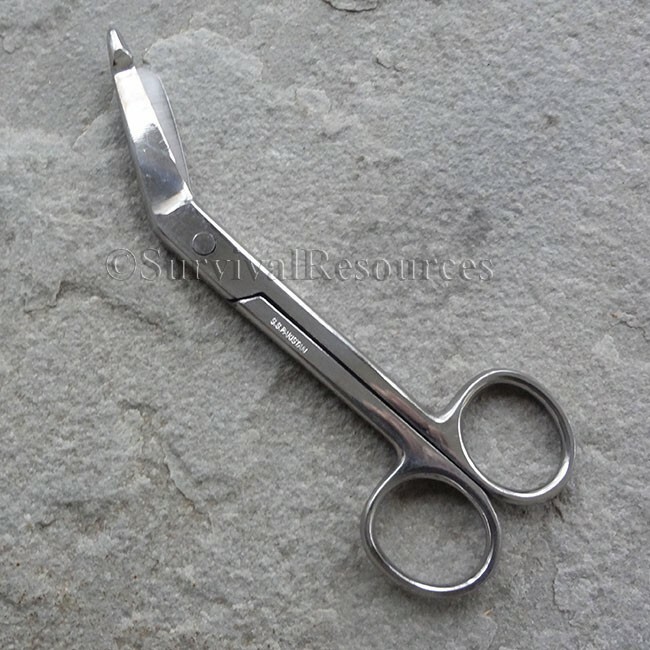 Survival Resources > First Aid > Lister Bandage Scissors - 4.5"
Made from stainless steel, these Lister Bandage scissors are great for stand-alone first aid kits or as a refill for a kit. At 4.5" in length, they will fit in most small kits. Used for cutting gauze, tape, or bandages, they are a handy item for any First Aid Kit!